In a recent evaluation, the Karen National Union deemed signing the Nationwide Ceasefire Agreement (NCA) and being taken off the government’s unlawful organizations list as two of its biggest political achievements over the past four years. At the KNU’s [ongoing] 16th Congress, representatives were presented with a review of the four-year political agenda established by the previous congress in 2012. He added that there were some questions, but no amendments before the four-year review was finalized on March 20. Padoh Saw Kwe Htoo Win said that the KNU’s accomplishments outlined in the report include signing the state and Union level ceasefires, signing the NCA and continuing to engage in the peace process. “Another accomplishment is that Karen people from respective areas can now gather together and hold Karen national level political talks, which is also a success,” he said. But at least one participant critiqued the report as being too vague. “It’s very general. So we cannot understand all [the achievements]. If they could not include the precise details, the main points should have been included, and then what they have done would have been better highlighted. It is clear they have done a lot during these [past] four years, I acknowledge it,” said Naw Blooming Night Zan, a member of the central permanent committee of the Karen Women’s Organization. The KNU’s 6th congress is expected to produce an agenda for the next four years. 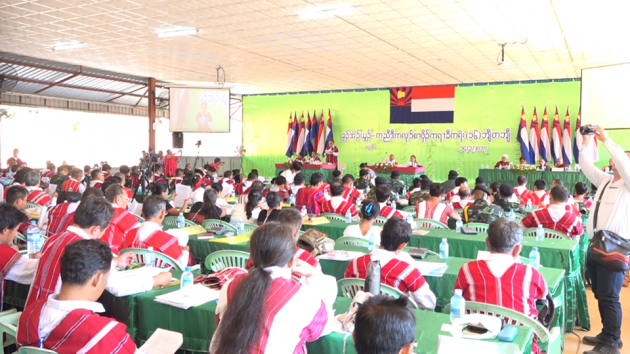 The congress, which is currently assembled in Hpa-an district, will also elect a KNU leadership body to steer the organization for the same term.